Infuse hot water with tea and let it rest for 5 minutes. 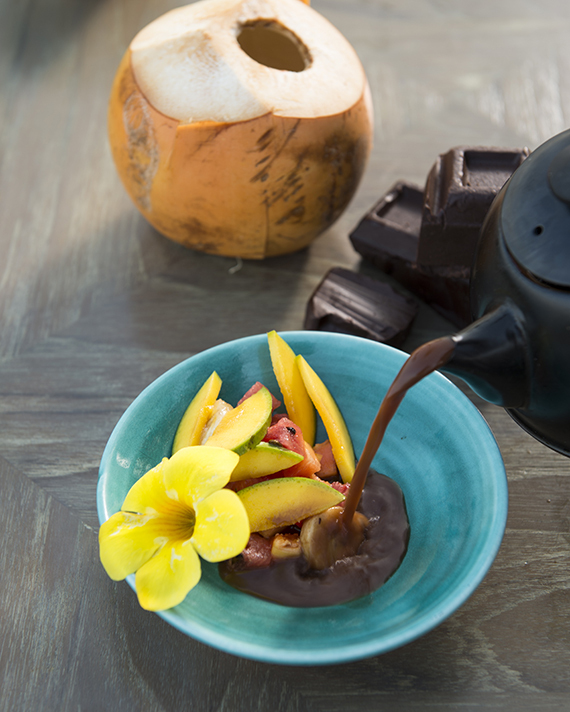 Chop the chocolate and mix it with the infused tea until it acquires a sauce consistency. Chop the fruit and garnish the dish.